Today was pretty crazy busy so all I had time for was to scribble out this scary looking thing while we were watching a show. 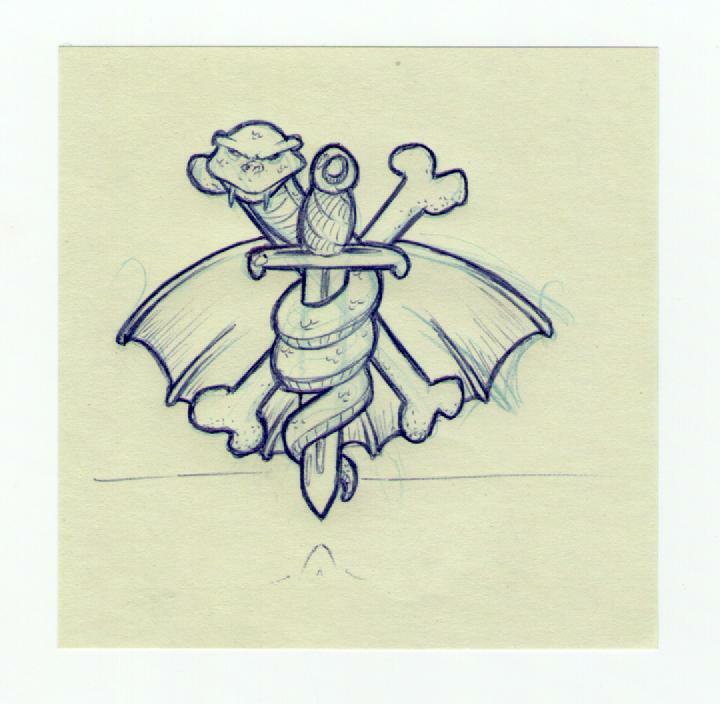 So last weekend I drew that anchor/shield/wing tattooish thing, so I thought what if I bunch a couple more classic tattoo elements together? 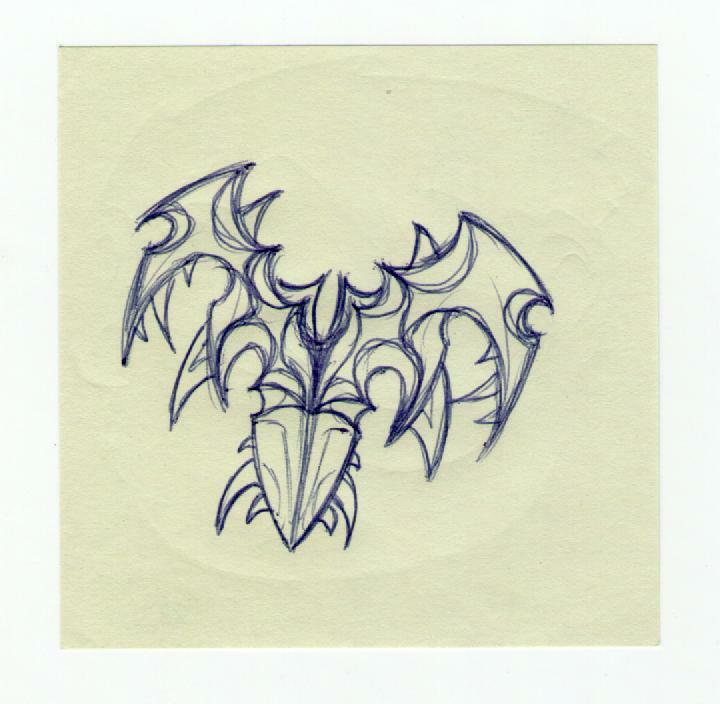 Well apparently, I had used up every possible good tattoo element I could think of the first time, so I ended up with this thing. 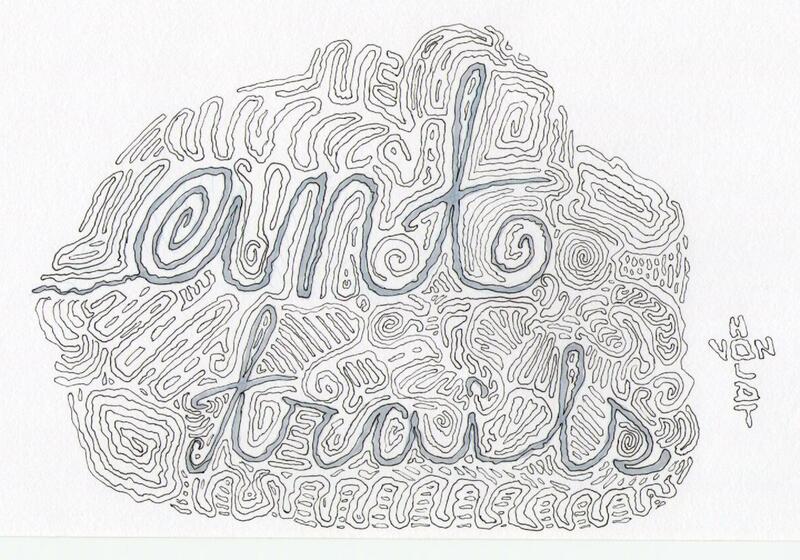 This started out as a couple right-ish angles and then I got a little carried away. 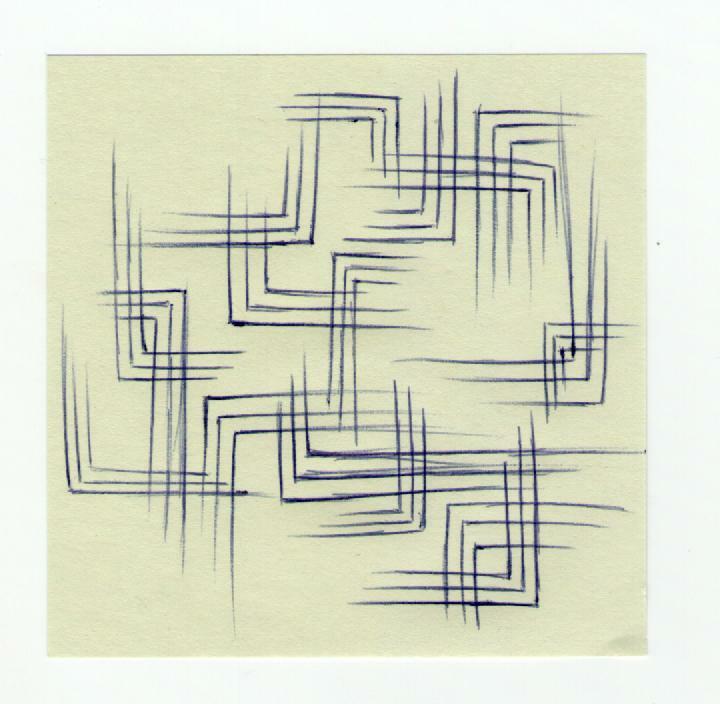 I like what it ended up as, but not sure what to call it. 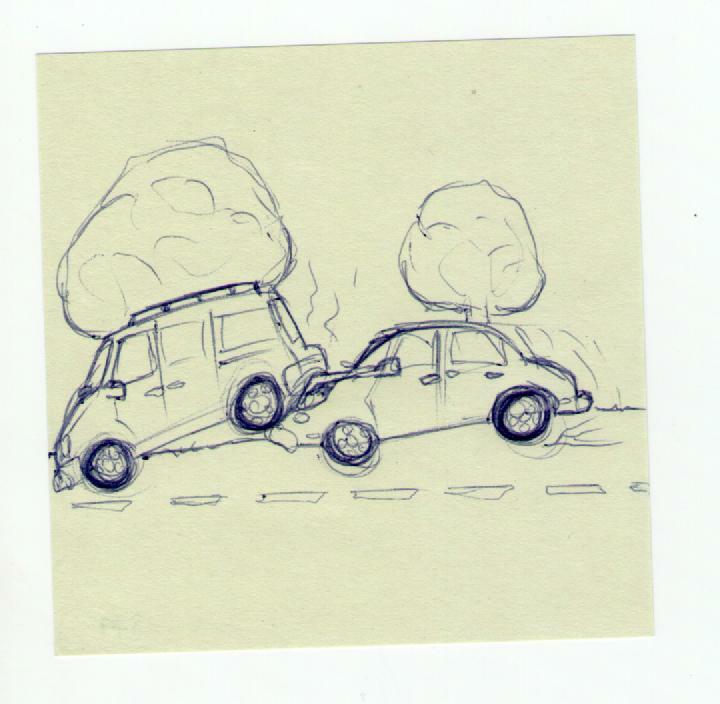 Today, I was headed to the store on the way home from work to grab a couple things and got rear-ended half way there. Our van is pretty banged up in the back, but it’s still drivable and no one was hurt. 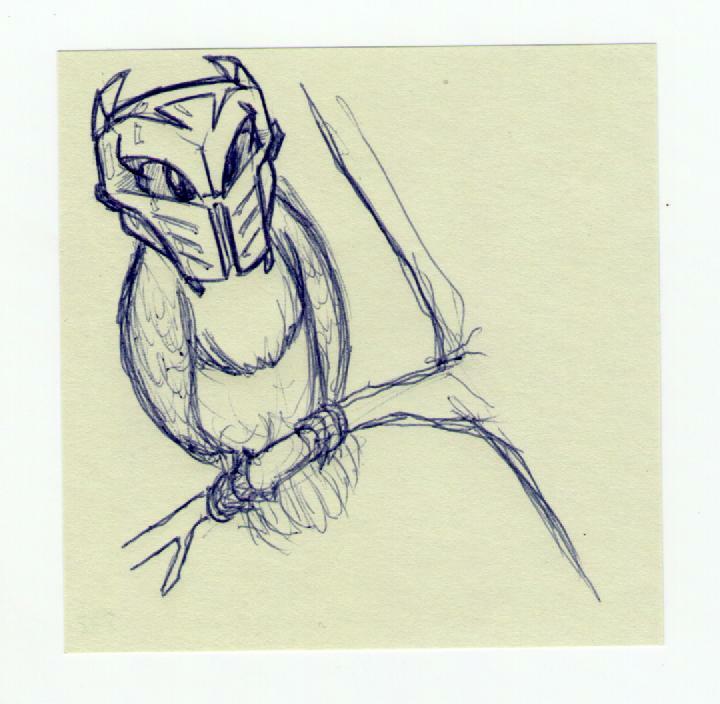 I just thought of the great “Legend of the Guardians” movie today, when I heard the Owl City song from the movie on the radio. So the guy with the Tux logo idea had asked me before that to draw a kangaroo/frog hybrid thing, but no matter how many times he tried to describe it, I just couldn’t figure out what he wanted. I did doodle up a little boxing kangaroo that I thought was cute but then I scribbled all over it trying to incorporate the frog elements. 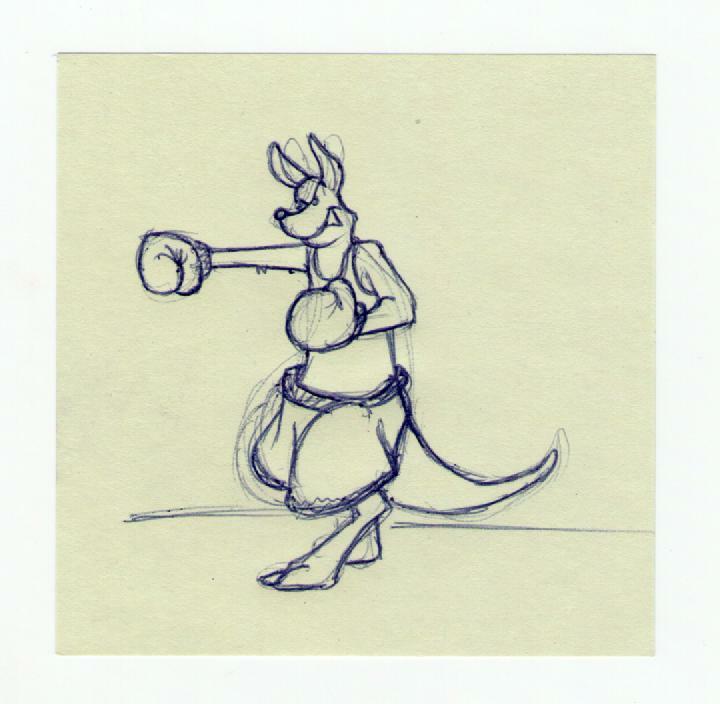 So, I decided to re-doodle up the roo boxer for today. 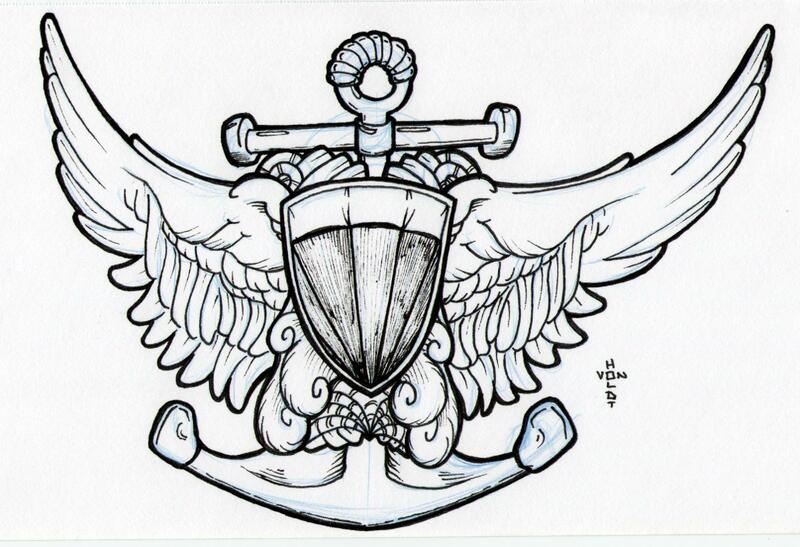 This started out with the shield in the middle, then the schmutz under it, then wings, anchor, etc… It kind of reminds me of a whole bunch of old tattoo elements thrown together. I like it though. 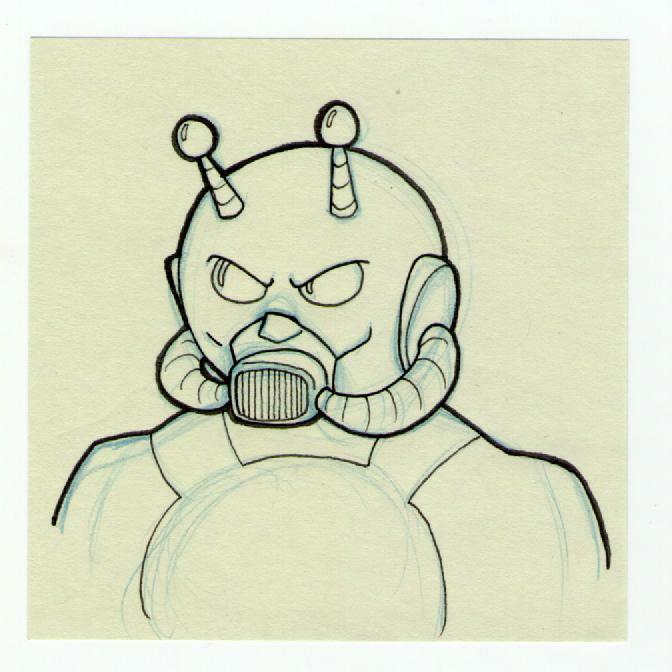 One of my favorite characters from the new Avengers show is Ant Man. He sort of functions as the groups conscience and honestly doesn’t really enjoy all the violence. 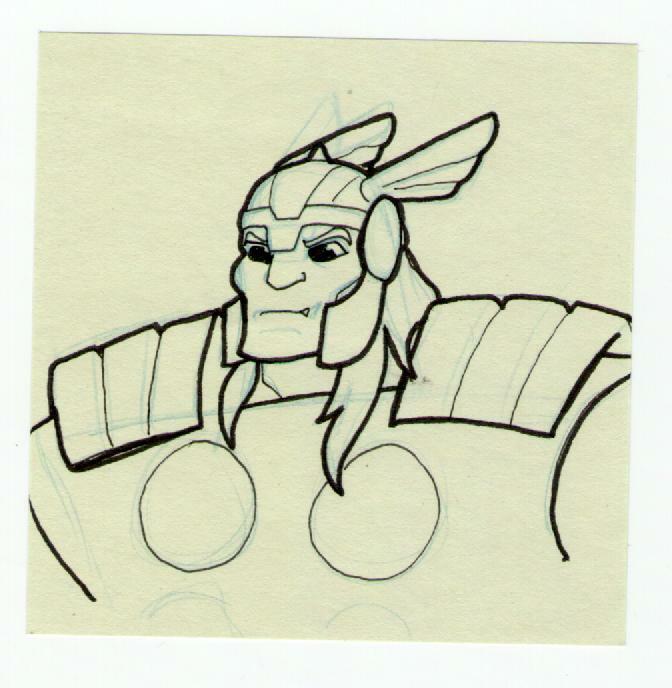 But he’s willing to do whatever it takes to save those that need his help. 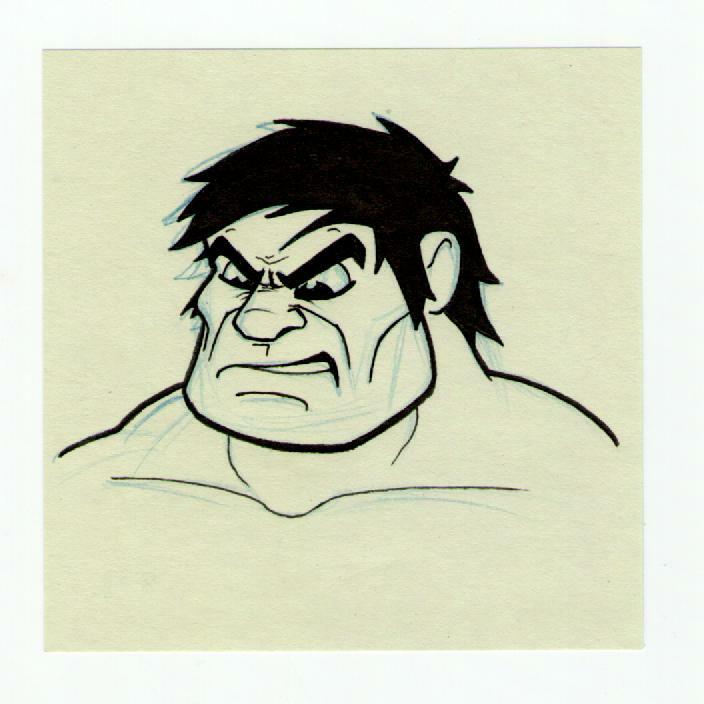 Second day of my Avengers stickies, so I thought I’d doodle up Hulk. 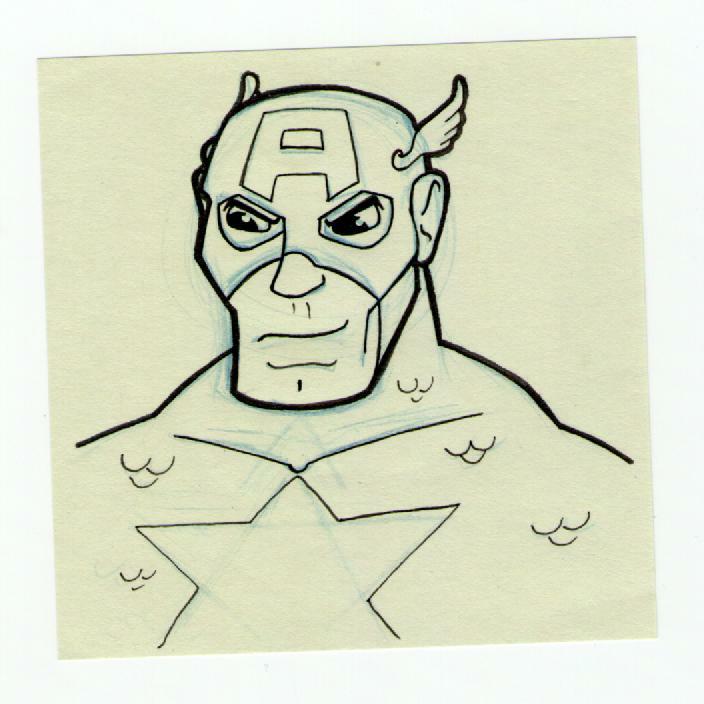 Since we’ve been home the boys found the new “Avengers: Earth’s Mightiest Heroes” show on Netflix, so they have been burning through the new show. 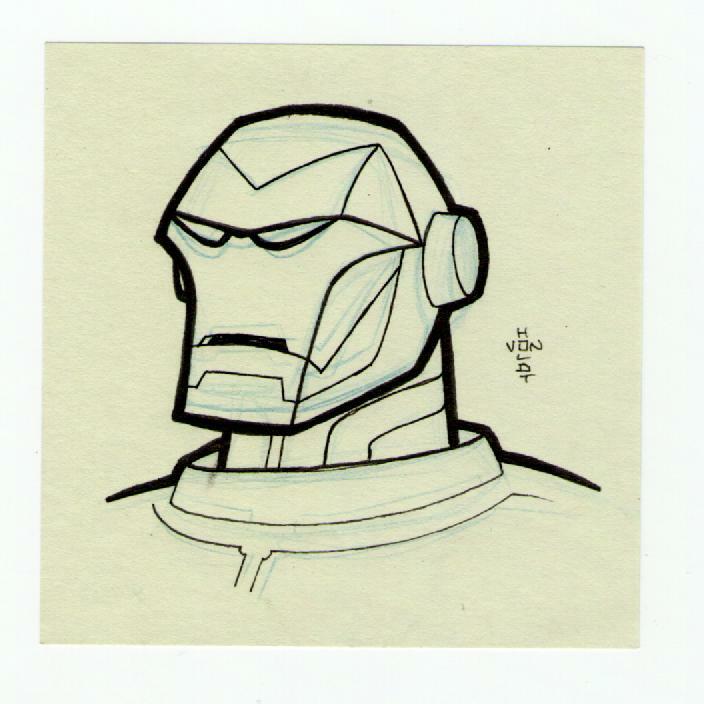 I thought I’d do a few of the characters on some sticky notes this week, so here’s Iron Man to lead off. 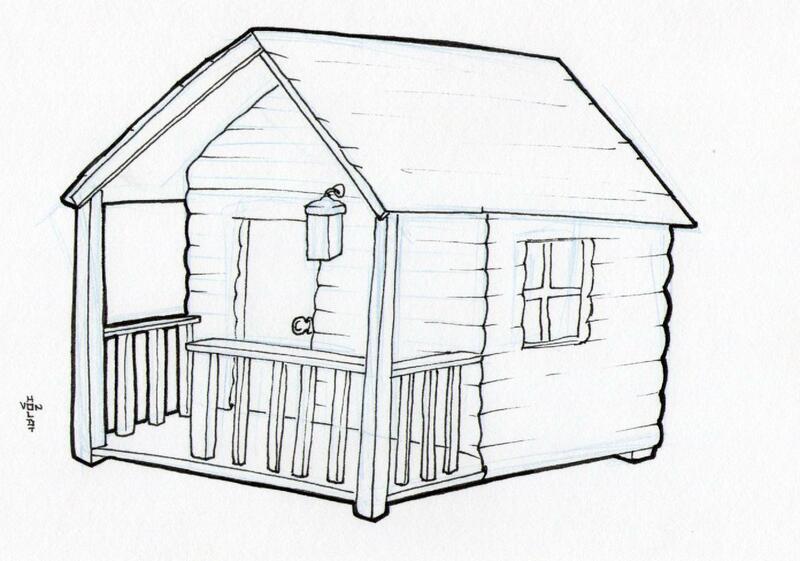 This year for the 4th, we decided to rent a cabin at the local lake right by where the fireworks would be set off. We had a lot of fun at the fair during the day, grilled some hot dogs and s’mores, then watched the show when it got dark.